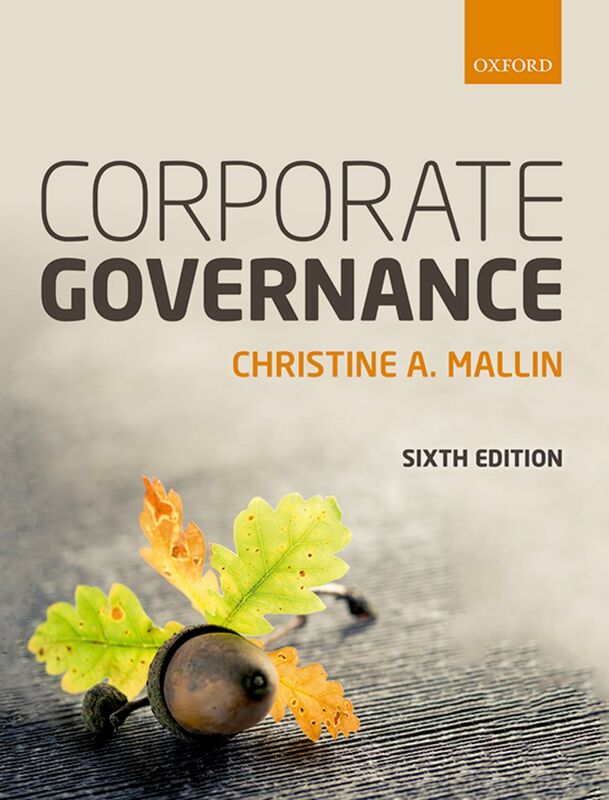 Corporate governance thinking does not evolve: it skips from one topic to the next. Ideas in corporate governance are like memes: they convey ideas just as genes convey physical characteristics, as I wrote on this blog some time ago. These memes permeate thinking, and with today’s instant communication flash around the world, become the conventional wisdom. A couple of years ago the theme was risk. Cadbury and the early corporate governance codes had nothing to say about risk. Now boards needed to recognize their responsibility for identifying their company’s risk profile, assessing long-term strategic risk, and ensuring that appropriate risk policies were in place and working. Risk had become a central issue in corporate governance. More recently, it was culture- although commentators seemed unable to agree on what they meant by culture. In March this year, I wrote in this blog that culture ‘can be thought of as the beliefs, expectations and values that people share’. Like the skins of an onion, culture has many layers – national, regional, corporate cultures, and the culture of the board room. Recent commentary about culture in corporate governance thinking has focused on board-level culture, which sets the tone throughout the organization and provides its moral compass. Board-level culture reflects the experience, beliefs and expectations of the board members, particularly the leadership style of the board chairman and the effect of any dominant personalities on the board. Introducing the concept of culture into corporate governance adds new dimensions, with behavioural, political, and psychological aspects that are difficult to identify, let alone quantify. In February 2017, the UK Department for Business, Energy, and Industrial Strategy (BEIS) published a report on corporate governance reform that identified culture as ‘the central tenet of good corporate governance (which) should be embedded in the culture of all companies, so that it permeates activity at every level and in every sphere.’ Fine: but what does that actually mean? What are boards expected to do to make the concept operational? Now the focus has shifted again: board diversity has come into the spotlight. Again, however, ideas differ on what board diversity means. The time has come for some clearer thinking. It seems that most people, when talking about board diversity, mean gender diversity: the need to have more women directors. That case seems clear and, around the world, efforts are being to increase the proportion of women on boards through mandatory quotas or voluntary targets. The challenge is to increase the pool of women with executive management experience. The BEIS report, mentioned above, recommends that ‘the UK Government should set a target that from 2020 at least half of all new appointments to senior and executive management level positions in all listed companies should be women’. To others, however, board diversity means something quite different. Before we all rally to this banner, more clarity of thought is needed. What is the purpose of the board of directors? The role of the board of directors, indeed the role of the governing body of every organization, is to govern. To put it in the vernacular, corporate governance means ensuring that the enterprise is being well run and that it is running in the right direction. This is quite different from managing the business, as I have written many times in this blog. In essence, the governance of a company includes overseeing the formulation of its strategy and policy making, supervision of executive performance, and ensuring corporate accountability. Overall, the purpose of the board is to ensure that the company meets its objectives. But that exposes a deeper question: what is the real purpose of a profit-orientated company? The answer has not changed since the classical nineteenth century model of the joint-stock limited-liability company was invented: to create wealth, by providing employment, offering opportunities to suppliers, satisfying customers, and meeting shareholders’ expectations. Companies meet their societal obligations by paying taxes, adopting socially responsible policies, and obeying the law of the lands in which they operate. Companies should not be seen as vehicles for social engineering. The board does not need to reflect the structure of society. Admittedly, the UK Companies’ Act does call for companies to recognize the interests of other stakeholders, including employees, suppliers and customers: though it is hard to see how a company could survive by ignoring them. Stakeholder Senates, which I suggested in this blog preciously, could provide employee, market, and societal input to board deliberations, could include representatives of young and old, poor and rich, ethic and other minorities. To fulfil the company’s primary purpose of creating wealth, a board does not need to reflect society. It needs people who can contribute effectively to its governance. In other words, the qualities needed to be a director are the experience, knowledge, and ability relevant to governing that company, backed up in a fast-moving business environment with the ability to continue to learn and adapt. Companies are often competing with other companies around the world, whose directors are experienced professionals, in China for example. Attempts by the UK’s FRC to revise the corporate governance code needs to be clear on the proper role of the board of directors. Ability at board level is vital for corporate success; social diversity has nothing to do with it. The views expressed in this blog are those of the author and are not necessarily those of the Oxford University Press, or fellow blogger Professor Chris Mallin. Corporate governance thinking and practice seems to evolve either as regulators respond to corporate failings or directors adopt the prevailing conventional wisdom. A year or two ago, the call was for boards to recognize their responsibility for identifying their company’s risk profile, assessing long-term risk, and ensuring appropriate risk strategies and policies were in place and working appropriately. Cadbury and the other early corporate governance codes had nothing to say about risk: now it has become a central issue. Today, the conventional wisdom is focusing on board culture and board diversity. But commentators seem unable to agree on what is actually meant by culture or diversity. The time has come for some clearer thinking. In March this year, I wrote in this blog that culture ‘can be thought of as the beliefs, expectations, and values that people share. Like the skins of an onion, culture has many layers – national cultures, regional cultures, the culture of a company, and the culture in a board room.’ Much of the recent commentary about culture in corporate governance has focused on board level culture and its reflection on the culture of the company. so that it permeates activity at every level and in every sphere. In its February 2017 report on corporate governance reform, the UK Department for Business, Energy and Industrial Strategy identified culture as ‘the central tenet of good corporate governance (which) should be embedded in the culture of all companies, so that it permeates activity at every level and in every sphere.’ Now what does that actually mean? What do directors need to do to make it operational? Board level culture depends on the experience, beliefs and expectations of those involved and, in particular on the leadership of the bard chairman and any other dominant personalities on the board. Companies should recruit executive and non-executive directors from the widest possible base. For more information see the most recent blog from Professor Chris Mallin on this website. There has been much emphasis on the importance and value of board diversity. However the focus has generally tended to be on gender diversity, for example, in the UK the Davies Report (2011) recommended that representation of women on FTSE 100 boards be increased to at least 25% by 2015. By 2015 this 25% target had been exceeded with FTSE 100 boards having 26.1% of women on the board. Various corporate governance codes and guidelines have stated that firms should have a ‘balanced board’. In 2014, when updating the UK Corporate Governance Code, the Financial Reporting Council pointed out that constructive and challenging debate on the board can be encouraged ‘through having sufficient diversity on the board. This includes, but is not limited to, gender and race. Diverse board composition in these respects is not on its own a guarantee. Diversity is as much about differences of approach and experience, and it is very important in ensuring effective engagement with key stakeholders and in order to deliver the business strategy’. Earlier this month The Parker Review Committee, chaired by Sir John Parker, issued ‘A Report into the Ethnic Diversity of UK Boards: Beyond One by ’21’. Starting from the premise that UK boardrooms, including those of leading public companies, do not reflect the UK’s ethnic diversity nor the stakeholders that companies engage with (customers, employees, etc. ), the Parker Report states that ‘ethnic minority representation in the Boardrooms across the FTSE 100 is disproportionately low, especially when looking at the number of UK citizen directors of colour’. For example, the Report highlights that of 1087 director positions in the FTSE 100, UK citizen directors of colour represent only about 1.5% of the total director population with 90 individual directors of colour (four hold two Board positions) whilst total directors of colour represent about 8% of the total (compared to 14% of the UK population). Some 53 FTSE 100 companies do not have any directors of colour. Seven companies account for over 40% of the directors of colour, interestingly five out of the seven companies have headquarters historically located outside the UK. In terms of the key board roles of Chair and CEO, only nine people of colour hold the position of Chair or CEO. 1.1. Each FTSE 100 Board should have at least one director of colour by 2021; and each FTSE 250 Board should have at least one director of colour by 2024. 1.2. Nomination committees of all FTSE 100 and FTSE 250 companies should require their internal human resources teams or search firms (as applicable) to identify and present qualified people of colour to be considered for Board appointment when vacancies occur. 1.3. Given the impact of the ‘Standard Voluntary Code of Conduct’ for executive search firms in the context of gender-based recruitment, we recommend that the relevant principles of that code be extended on a similar basis to apply to the recruitment of minority ethnic candidates as Board directors of FTSE 100 and FTSE 250 companies. 2.1. Members of the FTSE 100 and FTSE 250 should develop mechanisms to identify, develop and promote people of colour within their organisations in order to ensure over time that there is a pipeline of Board capable candidates and their managerial and executive ranks appropriately reflect the importance of diversity to their organisation. 2.2. Led by Board Chairs, existing Board directors of the FTSE 100 and FTSE 250 should mentor and/or sponsor people of colour within their own companies to ensure their readiness to assume senior managerial or executive positions internally, or non-executive Board positions externally. 2.3. Companies should encourage and support candidates drawn from diverse backgrounds, including people of colour, to take on Board roles internally (e.g., subsidiaries) where appropriate, as well as Board and trustee roles with external organisations (e.g., educational trusts, charities and other not-for-profit roles). These opportunities will give experience and develop oversight, leadership and stewardship skills. 3.1. A description of the Board’s policy on diversity be set out in a company’s annual report, and this should include a description of the company’s efforts to increase, amongst other things, ethnic diversity within its organisation, including at Board level. 3.2. Companies that do not meet Board composition recommendations by the relevant date should disclose in their annual report why they have not been able to achieve compliance.